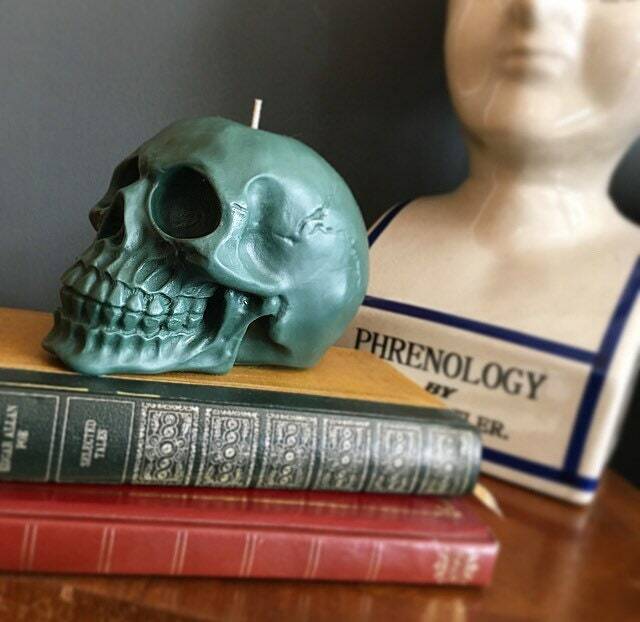 This super cool FOREST GREEN soy wax skull candle is available in a variety of scents & colours. You choose! 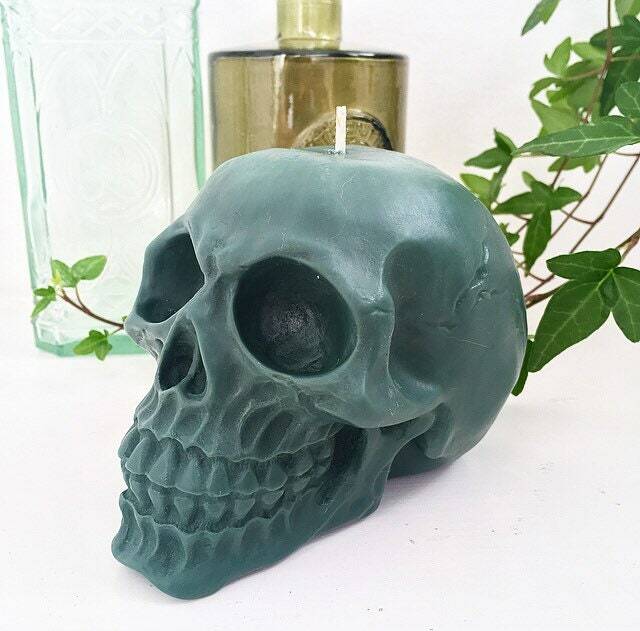 They are made with 100% soy wax with natural dyes, are hand-poured & will burn for 10-12 hours. That's if you can bring yourself to burn it! 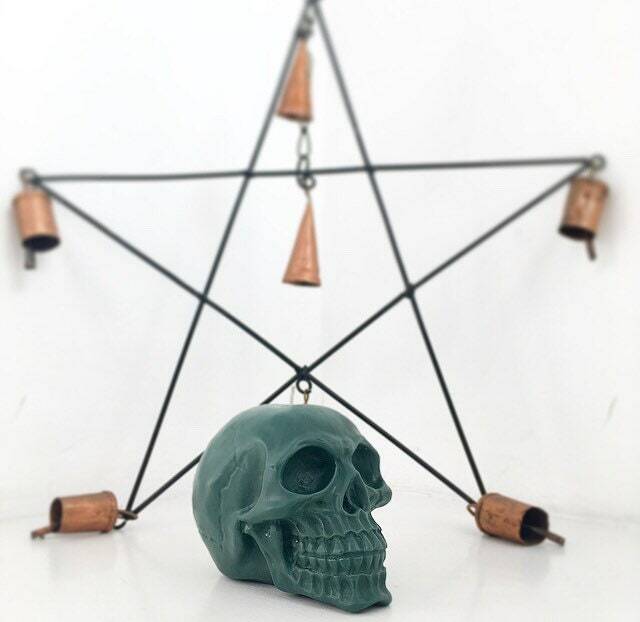 Current scents include : Vanilla, Coconut, Cherry, Raspberry, Orange & Cinnamon, Bubblegum, Peppermint and Sweet Almond, Cotton Candy, Parma Violets and Strawberries & Cream, Salted Caramel, Lavender and more! All candles are made to order. 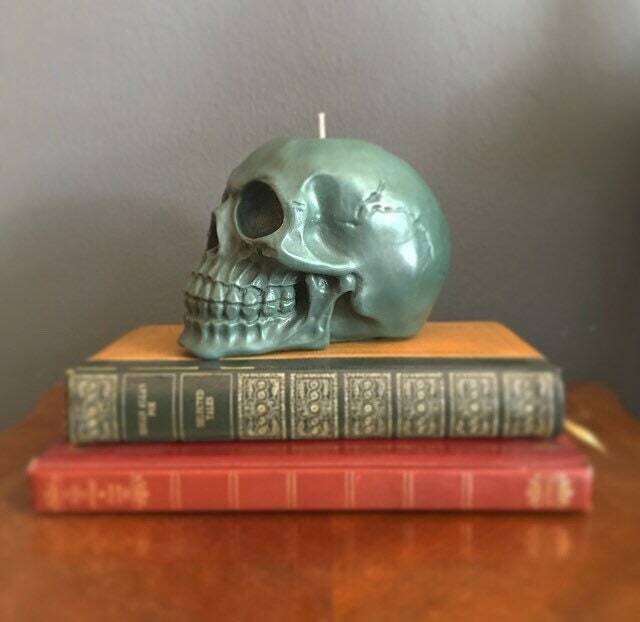 Check out our store for our full range of SKULL CANDLES! I bought this as a gift and it was a hit!